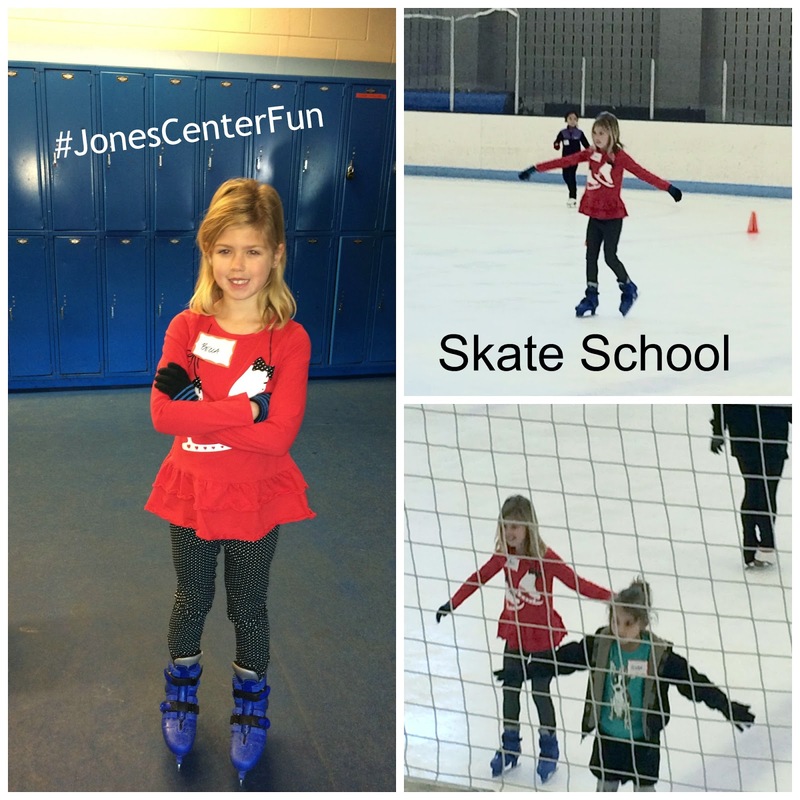 Because we are such excellent parents, we surprised Big Sis for Christmas by enrolling her in Ice Skating School at The Jones Center. She has just finished her third lesson, and is loving every minute of it. Her lessons are every Saturday morning for six weeks; she gets half an hour with her class and another half hour of free skating. 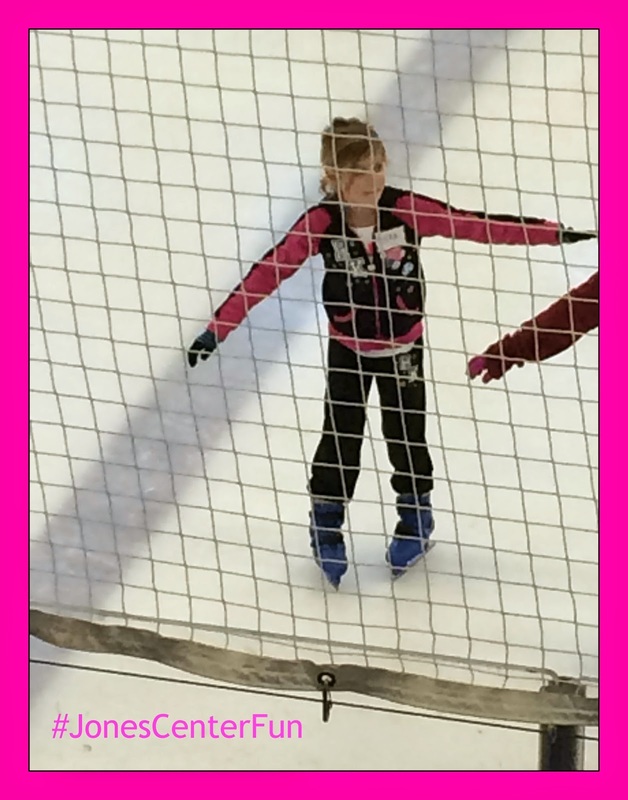 I love that she's making new friends and that her confidence grows with each week on the ice. I am particularly proud that she is enjoying this because we've tried a couple of other extra-curricular activities that have not held her interest at all. She's already told us that she wants to continue on to the next level of lessons after this! The instructors are doing a great job with the kids; they split them up by age first, then by ability. Big Sis is in a small group of about 15 kids. It's fun to watch how they can split the ice rink into about 10 different groups and give the kids such great individual attention. If you live in the area, I highly recommend the Skate School at The Jones Center in Springdale. We were able to score a fantastic deal during their Black Friday sale, but the regular price on enrollment is a very affordable $50 per session. Lessons are for all ages, even for adults! Make sure you check it out!